Meetings are held at the WSU Extension Spokane County Office, 222 N. Havana. Activities or Events may be held at the Extension building or at other facilities. 4-H Youth, Families and Volunteers are invited to all 4-H meetings and activities. 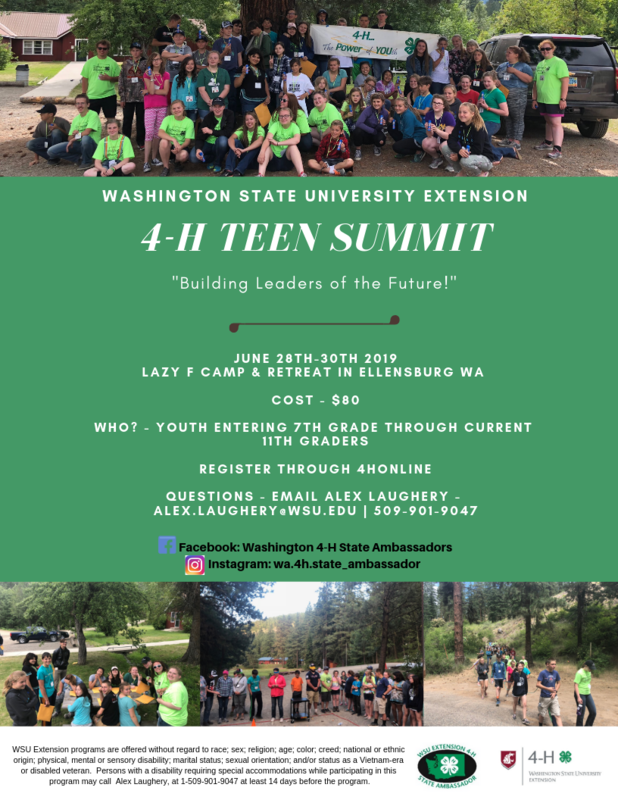 or email 4-H@Spokane if you have any questions.